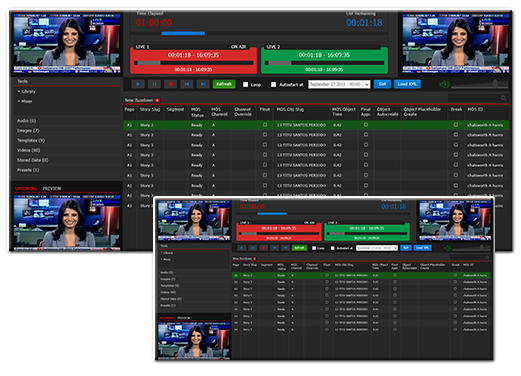 Habari Playout was launched in 2015 with the aim of providing best solution in Broadcast Industry.Habari(TM) Playout is a solution that provides stability and usability advantages. It allows for optimum CPU balancing using today’s multi-core systems; the server controls the video output while the client manages the playlist. The media files are verified by the client application before being accepted for playout. 4C Plus provide complete playout automation solutions for all kinds of channels. Habari playout(TM) software is designed with latest technology with thought of upcoming technological trends so that solution last for long duration without any heavy or compulsory update. Habari Playout also has a feature for Proof of play. Proof of Play is an actual time advertisement observing program used by broadcasting stations. Broadcasters can provide peace of mind and proof to the advertisement buyers that their advertisement is running on time without any obstacles. Metadata can be entered prior to ingest. Additional FTP ingest is possible. Media can be acquired as files in which case the content it automatically detected. It is also possible to allocate resources manually if preferred such as video server ports, as they are needed. Enable operators to perform quality review checks on media that has been ingested. It is also possible to sort media by “most recent created” so that enable operator to easily find recently recorded media that has yet to be quality checked.